Sometimes it takes time to find one’s paths of action and being. And those previous paths that one tried all contribute skills, challenges and confirmation that this path is yours. 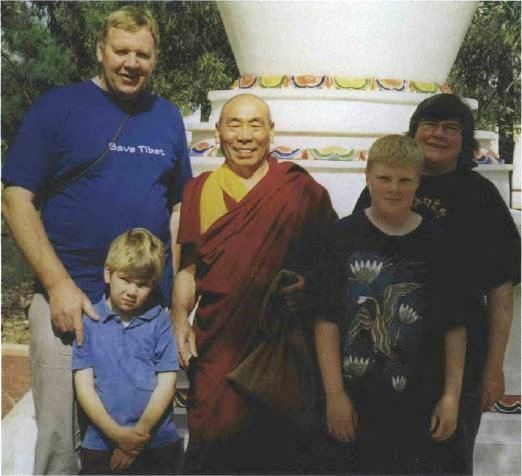 For Kim, Buddhism was (and still is, we think) his path – bringing action and being together. 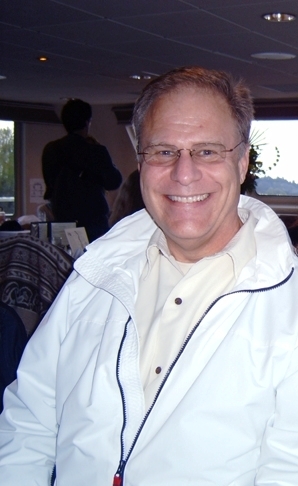 As an adult, Kim explored a number of careers – landscape architect, real estate agent, hospice caregiver, personal chef to wealthy families, bakery bun entrepreneur (the name of his product was Cinnful Buns), project manager, office manager and executive director. In all his work, caring service was his hallmark. It was significant to his family that his past four employers sent condolences, and three attended his services after his death. Tom Flynn was quite simply a genius in his own way. Irish, with a Jesuit training and a highly successful business background as well as a yearning for the truly spiritual, when Tom met Buddhism during a course at Land of Medicine Buddha (LMB), he was ripe for a new challenge. And that is what he got; with less than a year till the visit of His Holiness the Dalai Lama to the Bay Area, Tom was asked to take over a debt-ridden organizing committee for the event and simultaneously transform Land of Medicine Buddha from an antiquated motel in the redwoods to a modern commercially viable spiritual healing retreat center. So that is what he did. Under his directorship [2000- 2002] everything changed. As one student describes it, “Each week you came to the center you never knew what to expect. Things were changing so fast.” All the guestrooms were renovated and upgraded, the gompa, the pine room, the lama’s house, the office, the swimming pool, the sauna, the meadow, the car park, the landscaping – the list is endless. Nothing was too daunting or too expensive; somehow Tom had the genius and the courage to take risks and to follow through his vision to make the place the best it could be immediately! Born in Friesland in Holland, Henk migrated with his family to Australia when he was eight years old. His father died of lung cancer during Henk’s final year of high school. This was a huge blow to him and he searched for meaning to life during his twenties. I first met Henk when he was thirty at a Reichian Therapy weekend run by Lew Luton. We started going out together when Henk was thirty-four and I was thirty-three. Henk seemed to be a generous, philosophical, laid back kind of guy. 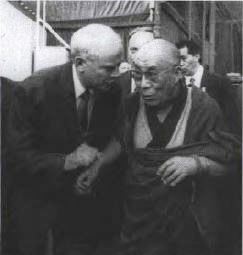 One of the first things he told me about himself was that he had met this man, a monk or a lama – someone who had “just looked at him…”. This had changed his life. I had no idea what he was talking about, because the only sort of personage from an Eastern religion I could imagine was someone like the Maharishi or the Bhagawan Sri Rajnesh – very unappealing even in the 1980s!